Almost everyone knows that Stanford University was created because of the personal tragedy of Leland Stanford and Jane Stanford - the death of their son. But everyone has heard about it only as an impersonal fact, behind which, in real, the unusual story hides. And, also, very few people know what kind of death Jane Stanford had. And the fact, that she had already lost her husband. 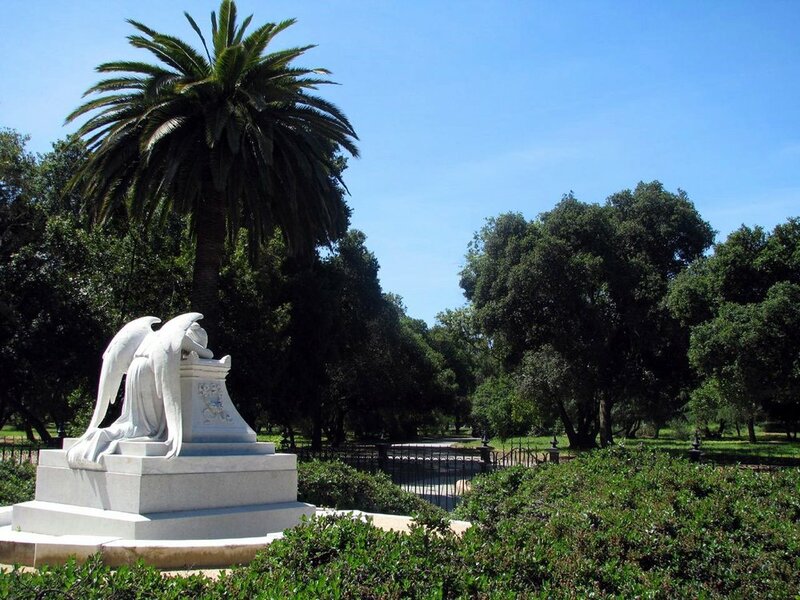 In this walk we will meet with an angel and walk around The Arizona Cactus Garden (or, officially, Arizona Garden), near which you can find the Stanford Mausoleum. We have never had a more mysterious author before. He claims to have witnessed the lives of the founders of Stanford and even knows about the circumstances of their death. Who is this person (entity) and what can he (it) tell us? Let’s find out! We all begin to live in the era of globalization and multiculturalism. And in order not to get lost in all of this, I will be your guide.